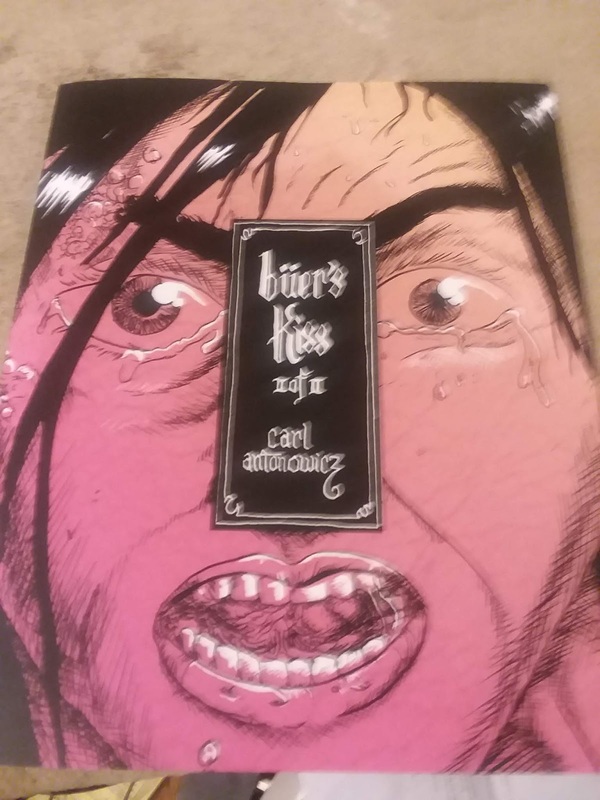 In volume one of Buer's Kiss, Carl Antonowicz built a world mired in disease, arbitrary religious and political authority and a total lack of respect for the humanity of others. In volume two, he burns it all down--quite literally, in some cases. The protagonist, Felecia, was thrown out of her village thanks to receiving "Buer's Kiss"--a leprosy-like disease created by a demonic creature. She's surrounded by a number of characters with competing points of view. There's the village doctor, who reveals her plan to get revenge on the church and state by infecting every village. There's the naked chief of the outcast colony, who idiotically embraces his disease. There's the Moor on the colony's edge, decrying heretics of every stripe. Finally, there are the soldiers looking to kill the doctor. One of them is gay and quickly lost his patience by the needling comments of his superior officer and his doltish assistant. Put all these characters together, and you have a volatile situation. The care with which Antonowicz detailed Felecia's new life in the first volume sets up the horrific events of this book. This is an unpleasant world where compassion is not rewarded. The crux of the second book is Felecia discovering the doctor's plan and trying to stop it before she poisons her old village. At the same time, the soldiers happen across the colony and burn it to the ground after killing the leader. The gay soldier finally has enough of the others and rides off on his own. The climax of the book comes when Felecia comes across the soldier's pass, begging him for help. His response is to push her out of the way. 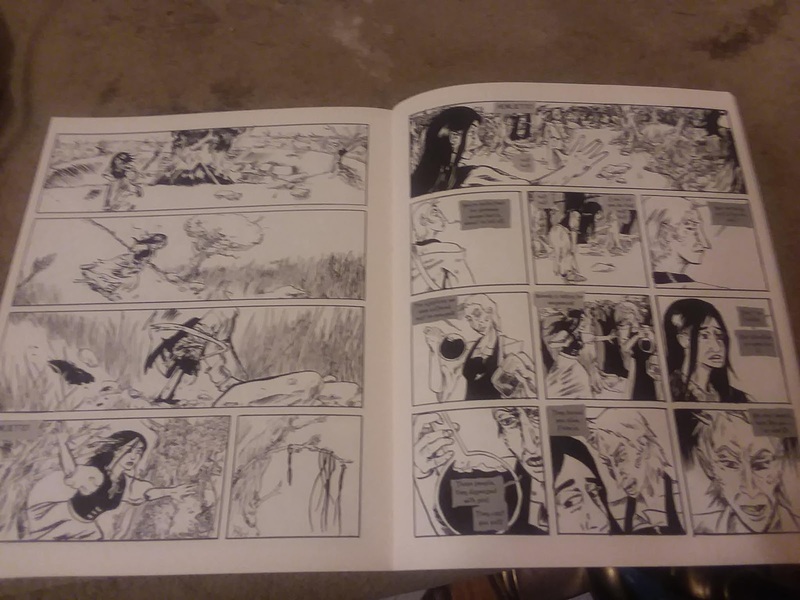 The book's format is the same as the first volume: twelve panel grid that collapses at times, dense hatching and cross hatching, heavy use of blacks with a consistent use of background white for contrast. 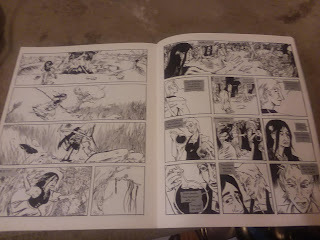 There's no shading or gray-scaling here, as Antonowicz builds the book around his linework and use of spotting blacks. 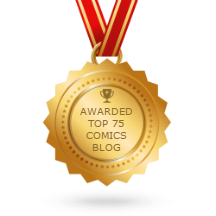 It's mostly successful, though his line felt a little more wobbly in this volume than the first at times. This book is about dignity, empathy and agency. Felecia is the only character who possesses all three traits. Her sense of dignity leads her to blaze her own trail and abandon the alms plate she was given. Her agency led her to want to learn the doctor's craft, strike out to save the village, and any number of other acts that displayed her willingness to act. Her empathy led her to show kindness to the Moor, to let down a guy who had a crush on her easily, and to try to save her village despite the way they treated her. The gay soldier has dignity and agency, but his lack of empathy doomed the village. The doctor had the same flaw, as she was consumed by vengeance. The chief lacked dignity and agency, making him a useless mound of flesh. The Moor lacked agency, or rather, it was taken from him. The other soldiers lacked all three qualities, making them callous killers who had no clue as to how to navigate the terrain. In the end, Felecia is stripped of her own agency and dignity as she's forced to become a beggar, making this story a tragic one.